Looking for a professional charter bus service in Texas? Trust Charter Everything for exceptional ground transportation solutions, with the commitment to get you to your destination efficiently and safely. With our dedicated 24/7 customer support and the best selection of luxury charter buses & motor coaches, we are fully equipped to make the next trip one you will cherish forever. 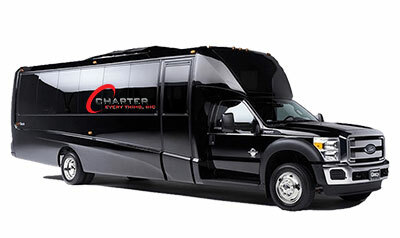 Charter Everything Inc. is the one-stop solution for all of your Texas charter bus rental needs. We are a name synonymous with perfection. Our team of expert professionals does not leave any stone unturned to provide the most comfortable, reliable and safest chartering experience in Texas. We strive to enhance your experience of luxury transportation by offering a wide selection of well-maintained, modernized charter buses that will make your tour of Texas unforgettable. Whether you need a full-sized 61-passenger luxury coach, a private party bus, or anything in between, we will help you choose the right vehicle at the right price. 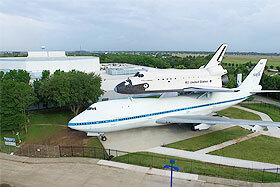 Planning a fun-filled Texas tour with your family? Do you want to experience the city’s exciting nightlife? Looking forward to enjoying an important sporting event with your friends? Celebrating your wedding in Texas? Give us the hassle of arranging safe and comfortable transportation at a pocket-friendly price. We offer customized Texas charter bus rental services to meet your unique needs. Charter Everything Inc. is acclaimed for its finest selection of charter buses that are the epitome of luxury, safety, and comfort. We pick each of our vehicles meticulously and customize them to meet unique needs of our discerning customers. For larger groups, we have deluxe motor coaches that can accommodate passengers up to 61. For group size up to 38 passengers, we have ultra spacious minibus rentals. We also have a large fleet of private party buses and sprinter vans with varying passenger capacities. Safety is of utmost priority to us, and therefore, we ensure regular servicing & proper maintenance of all our vehicles. Each of our charter buses is equipped with state-of-the-art amenities such as sanitized restrooms, spacious luggage compartments, reclining seats, Wi-Fi connectivity, audio-visual facility, power outlets, and central air-conditioning & heating. 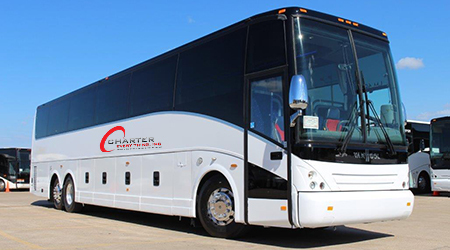 Embark on the most comfortable and memorable journey of your lifetime with a charter bus rental from Charter Everything Inc.
Charter Everything Inc. is known for excellent customer service, tailored chartering solutions, and the best fleet of high-quality vehicles. We offer unmatched charter bus rental services for every occasion that you can imagine. Wedding: Let us make your wedding less stressful with customized group transportation solutions for your guests. As you make a grand entry to your wedding in a posh limousine, we will ensure that your guests stay organized and arrive on time for the special event of your life. Pick from our range of deluxe motor coaches or private minibuses for superior comfort and style. Corporate Trip: Create a lasting impression by staying on schedule for your upcoming trade show, conference, business meeting, or corporate tour in Texas. Experts at Charter Everything Inc. will work with you to let you have the best fleet of charter buses to transport your employees with comfort and impress your clients. With onboard power outlets, Wi-Fi and more, your people will always stay productive while traveling. Sports Event: Set off for the next big sporting event with your friends on a luxury charter bus rental. Well-equipped with plush amenities like television, reclining seats, media systems, and more. Your group will have a fun-filled time preparing for your favorite team’s victory. Our buses also have spacious luggage compartments to offer ample room for carrying sporting equipment and baggage. School Transportation: We offer the highest standards of school transportation services, with a perfect mix of safety and comfort. All of our staff and drivers undergo a rigorous background check to ensure you complete peace of mind. Our Texas private school buses can accommodate up to 40 passengers and are equipped with air cooling & heating and audio systems. Texas Night Out: The “Lone Star Lake” is not just recognized for its amazing natural assets and cultural attractions. Nightlife in Texas is invigorating and fun-filled, with plenty of things to do. Planning a night out with your friends, but not sure of transportation? Look no further. Charter Everything Inc. has the best selection of private party buses, just apt to make your night out even more enchanting. 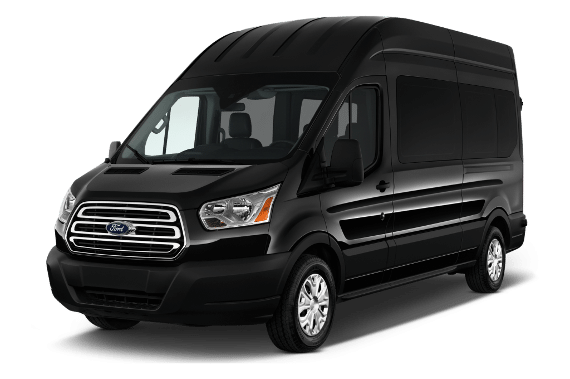 Our party buses can accommodate up to 40 passengers, and come comfortably equipped with leather seats, black tinted windows for ultra privacy, a media system, plasma TV, restrooms, a wet bar, power outlets, surround sound system, Wi-Fi, central AC & heating system, sunroof & moonroof, and neon & fiber optic lighting. You can imagine the sheer style and class that you would exhibit traveling in one of our plush party buses! 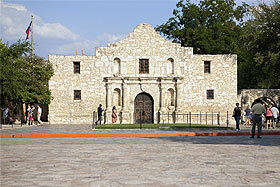 Texas Sightseeing: Rich culture, amazing sites, and dynamic people make Texas one of the top tourist spots in the U.S.A. If you are planning a family tour to the second largest state in the union, Charter Everything Inc. is the name you can trust. Embark on a memorable sightseeing tour with us, and explore astounding sights, beaches and mouth-watering delicacies in Texas. Our highly spacious and comfortable motorcoaches can accommodate a group of up to 61 passengers. Have a smaller group? Don’t worry. We have just the right type of vehicle for your unique needs. Discover the stunning diversity of landscapes as you travel through the great canyons, mountains & caves, deserts, and picturesque coastal regions along the Gulf of Mexico. Visit Alamo, one of the top historic sites in America, or escape to the Space Center in Houston for a thrilling experience. 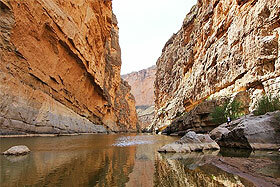 Indulge into the awe of the Big Bend National Park, or enjoy San Antonio’s breathtaking River Walk. Book Texas charter bus rentals at Charter Everything Inc. to take you to the most spectacular tourist spots in the state. Planning a special event in Texas? Don’t have a ride? Our expert professionals are available 24/7, 365 days a year to offer unparalleled charter bus rental service. We accept bookings in short notice. To get the best price quote, contact us today.